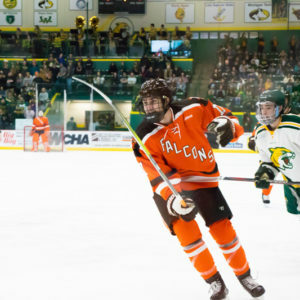 Marquette, MI – The 13th-ranked Falcons showed signs of the resilience in their DNA Friday night. 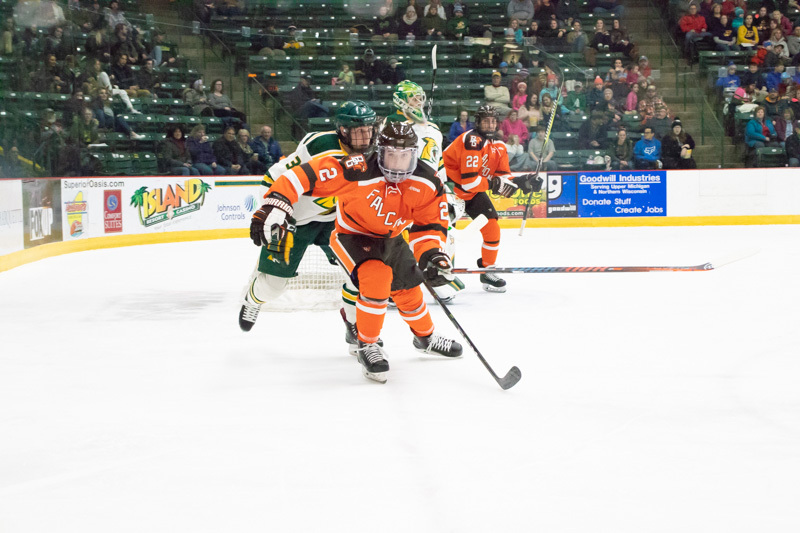 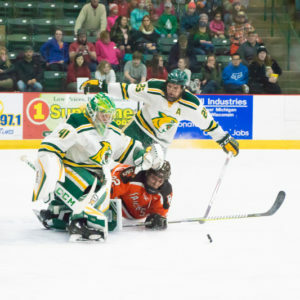 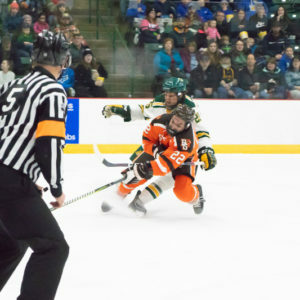 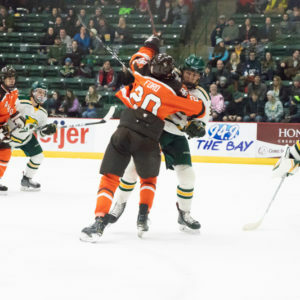 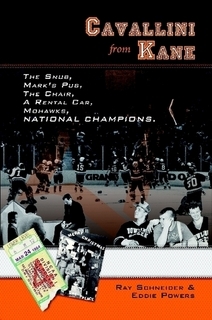 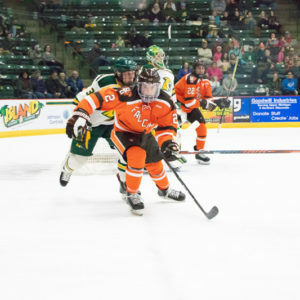 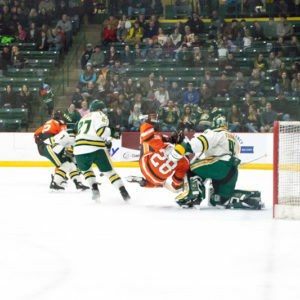 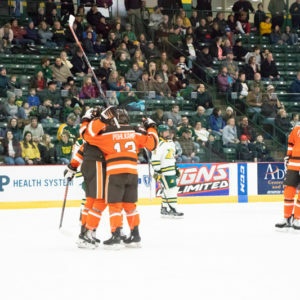 They downed the Northern Michigan Wildcats 3-2 in overtime after forcing the extra period late in the third. 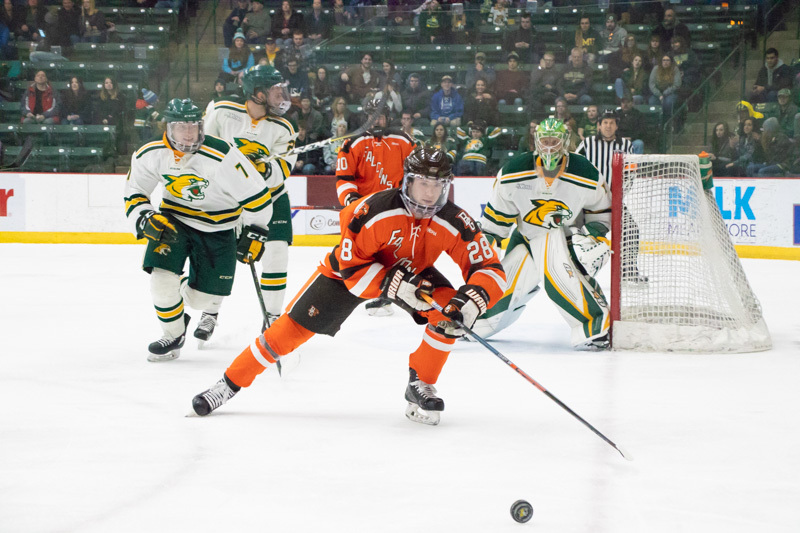 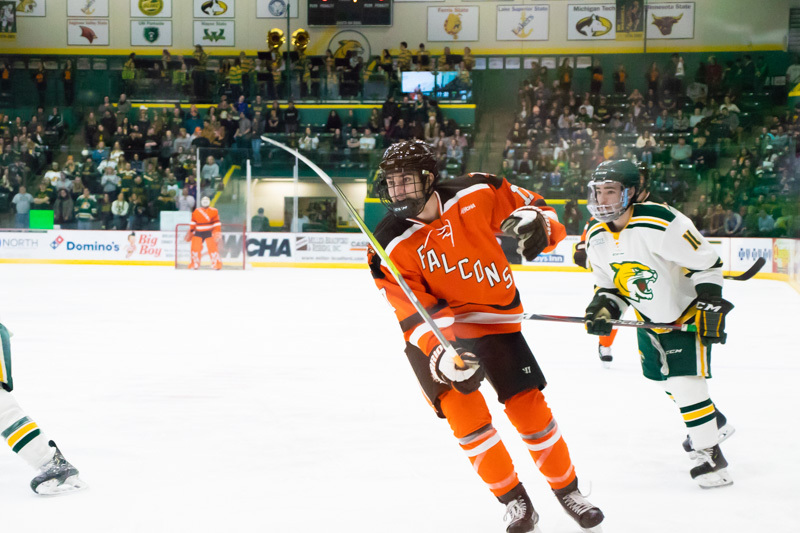 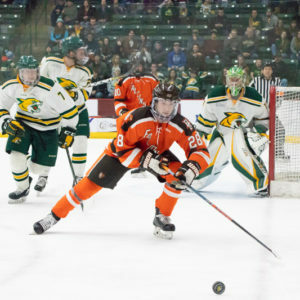 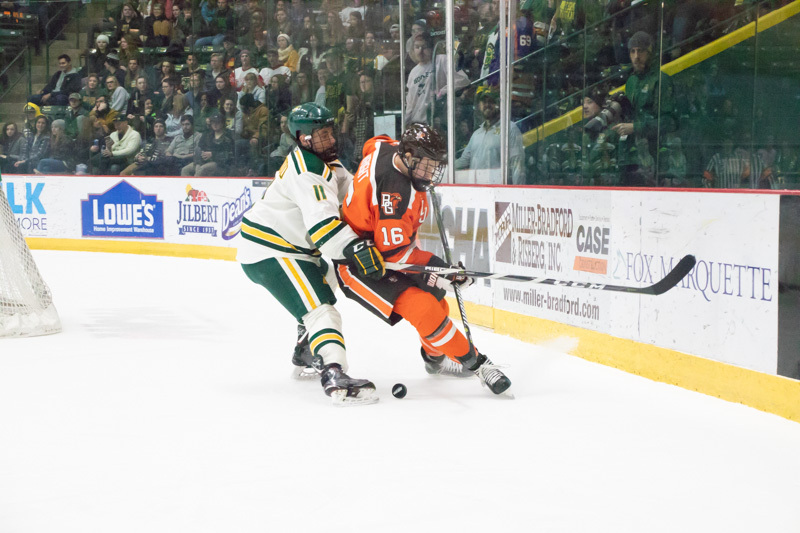 The win guaranteed the Falcons a berth in the WCHA Playoffs in March. 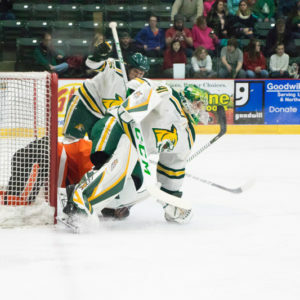 Ryan Bednard started in net for the Falcons, stopping 21 of 23 shots faced. 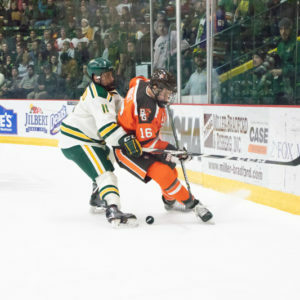 Bednard made his first appearance since suffering a lower-body injury on 1/11/19 against Michigan Tech. 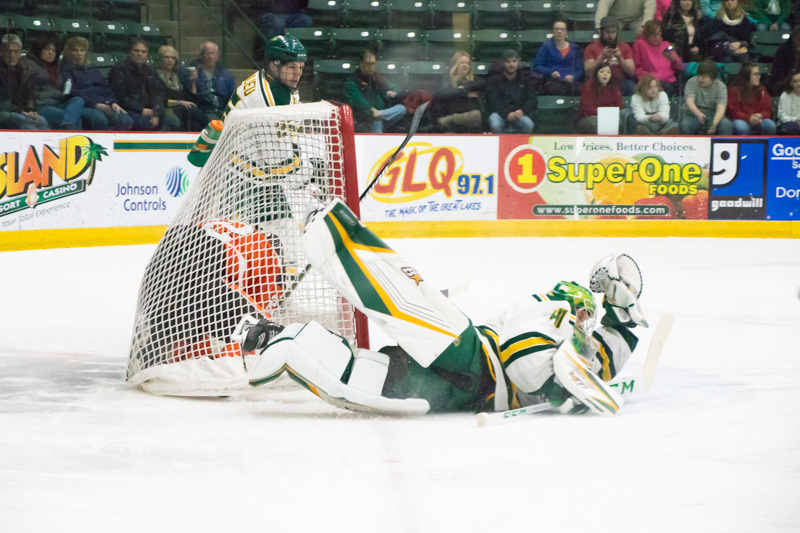 Atte Tolvanen saved 21 of 24 chances for the Wildcats. 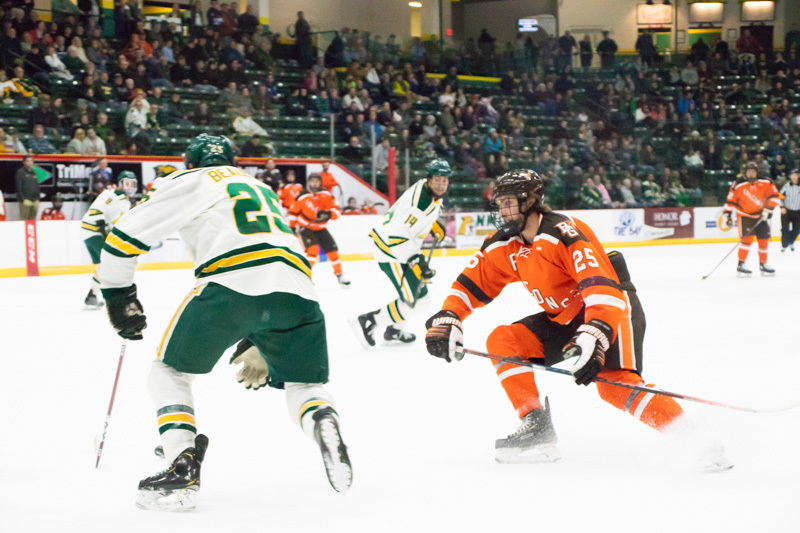 Bowling Green opened the game’s scoring at 15:02 of the first period. 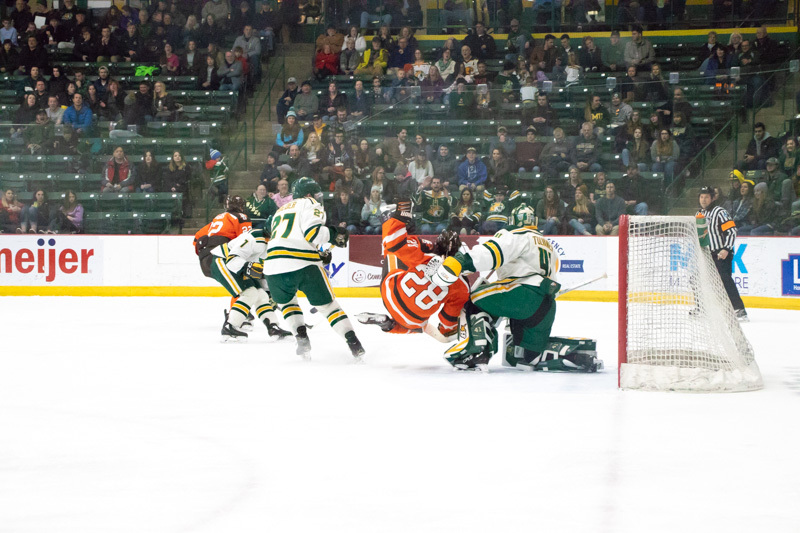 While killing off a penalty the Falcons forced a turnover in the Wildcats’ zone in the near corner. 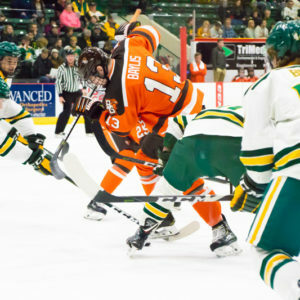 Sam Craggs sent the loose puck five-hole, beating Tolvanen for his fourth goal of the season. 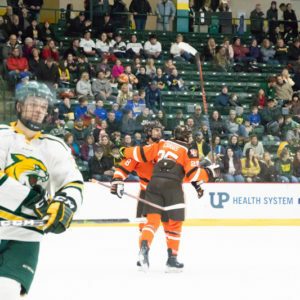 The shorthanded goal was unassisted. 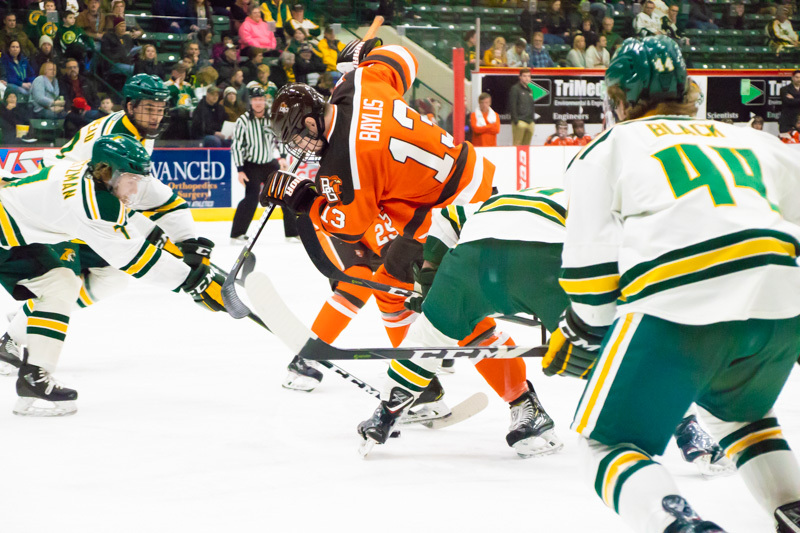 Bowling Green finished the first period with nine shots on net while Northern Michigan had five chances. 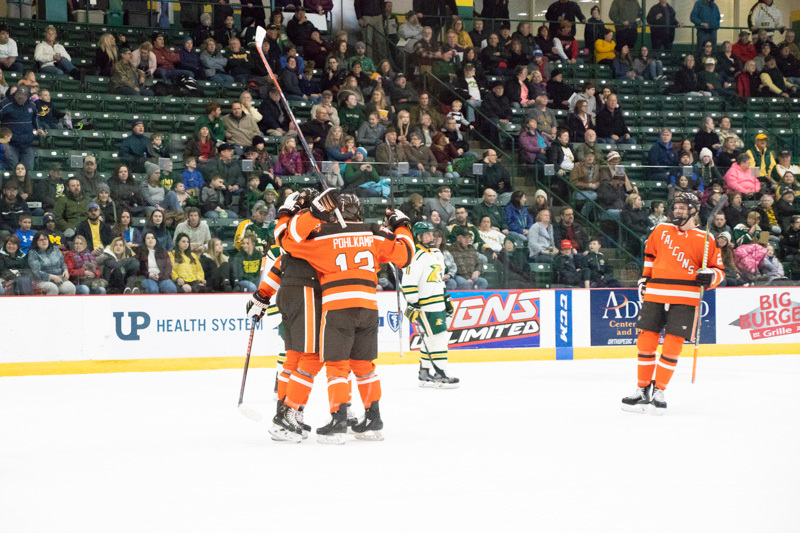 The Wildcats tied the game at 4:43 of the second period. 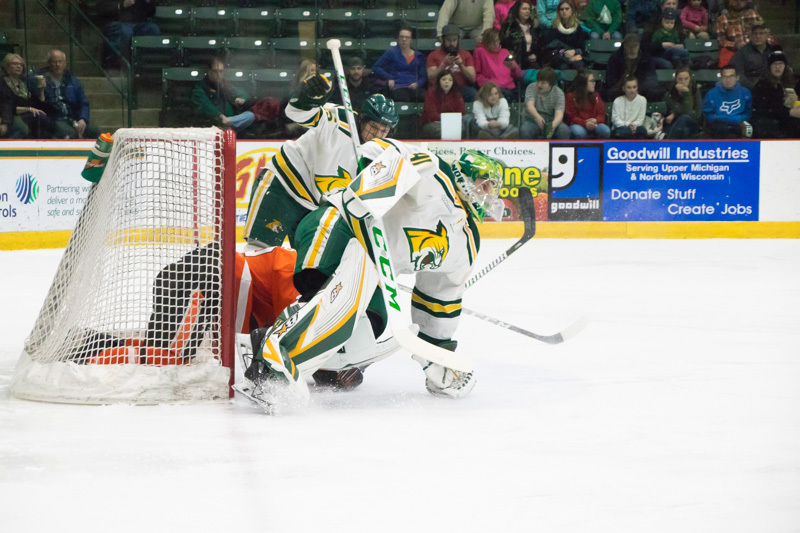 Adam Roeder’s slapshot from 15-feet out beat Bednard on his glove side. 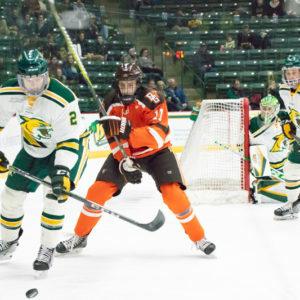 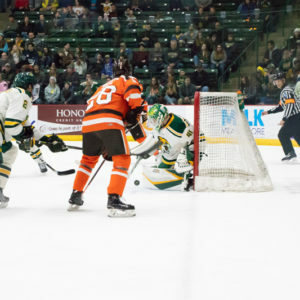 Bowling Green had eight shots in the middle frame while Northern Michigan had seven opportunities. 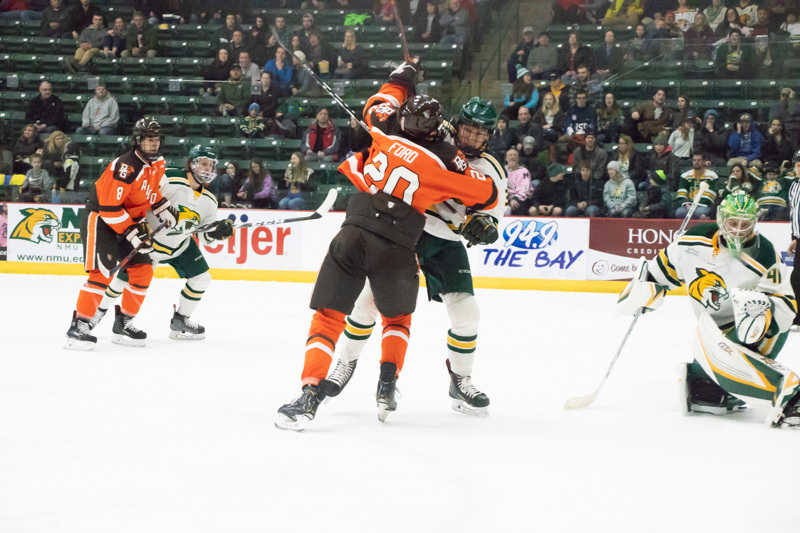 Northern Michigan took their first lead of the game on the power play at 2:30 of the third period. 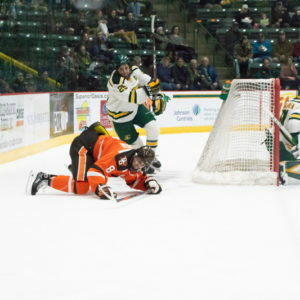 Troy Loggins shot from the point snuck in between Bednard’s leg pad and the near post, giving the Wildcats the 2-1 lead. 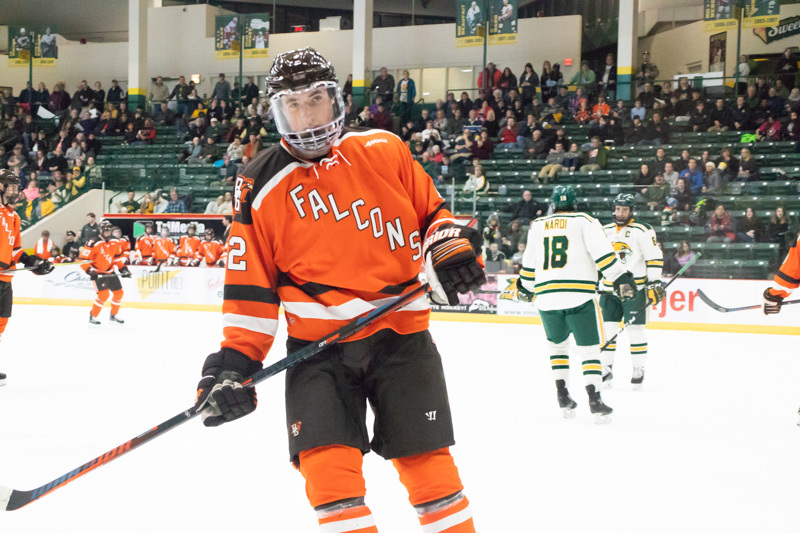 The Falcons responded at 15:04 of the third period. 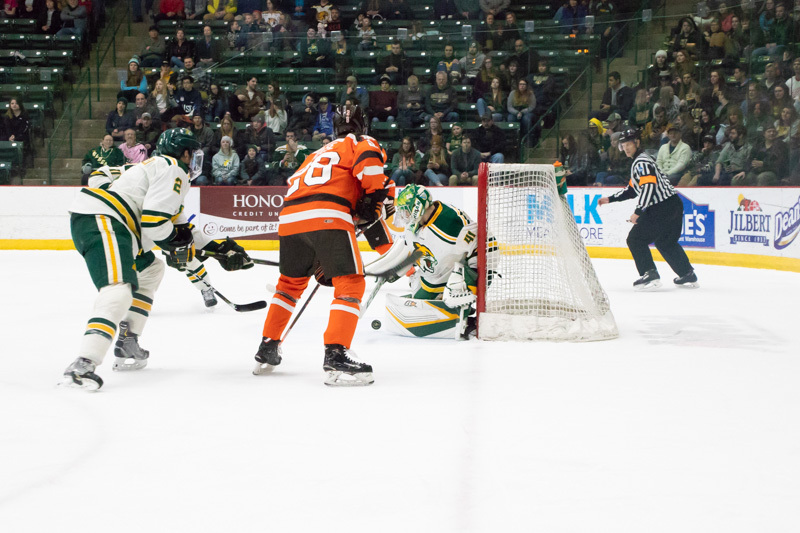 Stephen Baylis’ initial shot on net was saved by Tolvanen, but the rebound came to Connor Ford who backhanded the puck into the wide-open net. 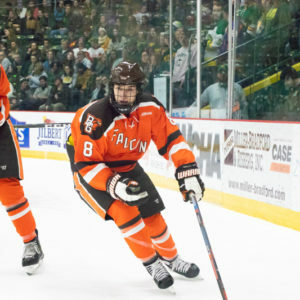 The goal was Ford’s 11th of the season and was also assisted by John Schilling. 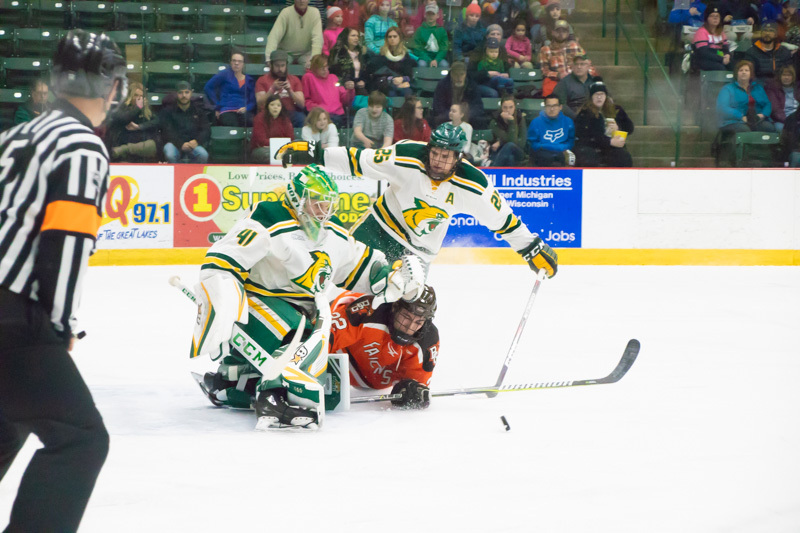 Neither team scored again in the third period, sending the contest to an overtime period. 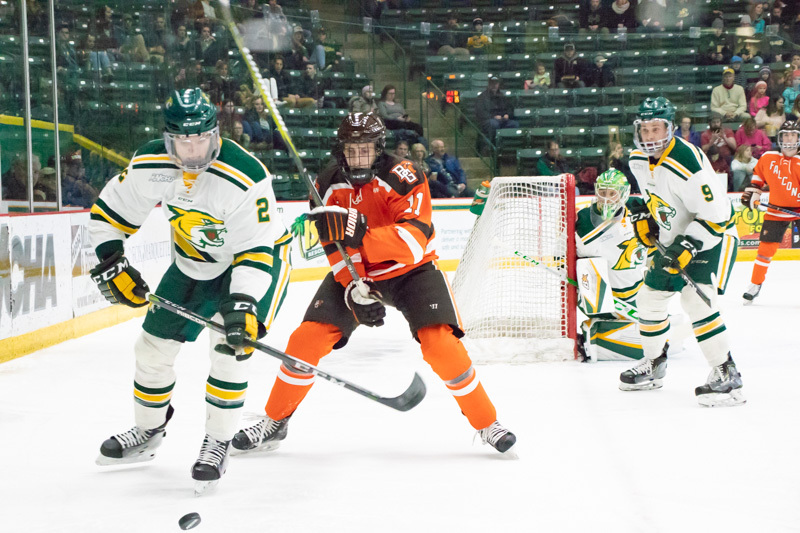 Northern Michigan had 11 shots in the third period while Bowling Green had six chances on net. 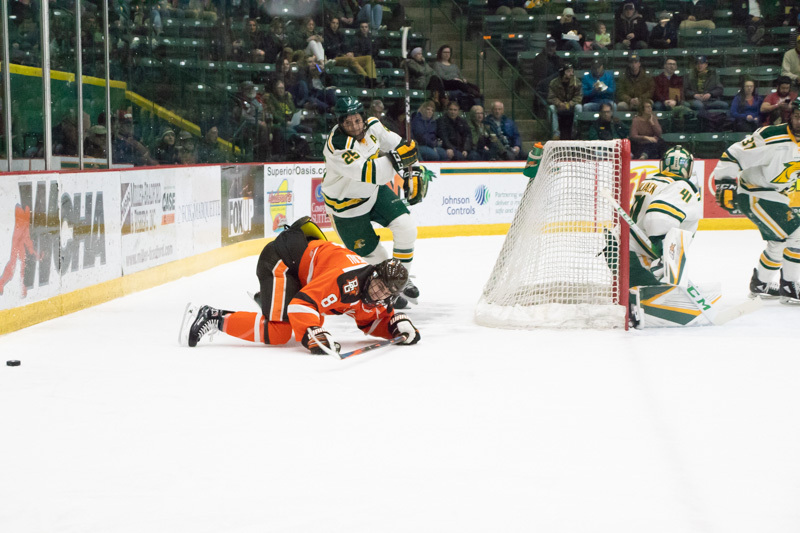 It only took 12 seconds for the Falcons to score the game-winning goal. 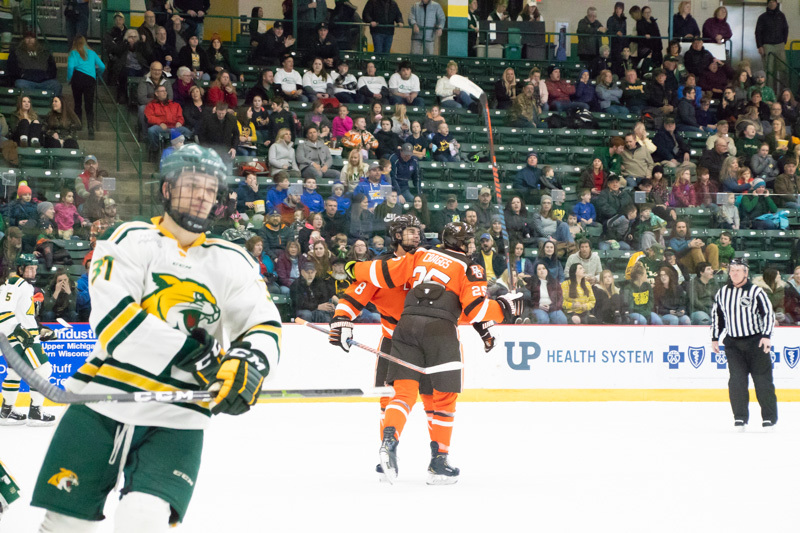 John Schilling forced the puck past Tolvanen for his fourth goal of the season. 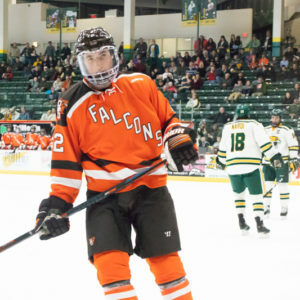 Connor Ford assisted on the play. 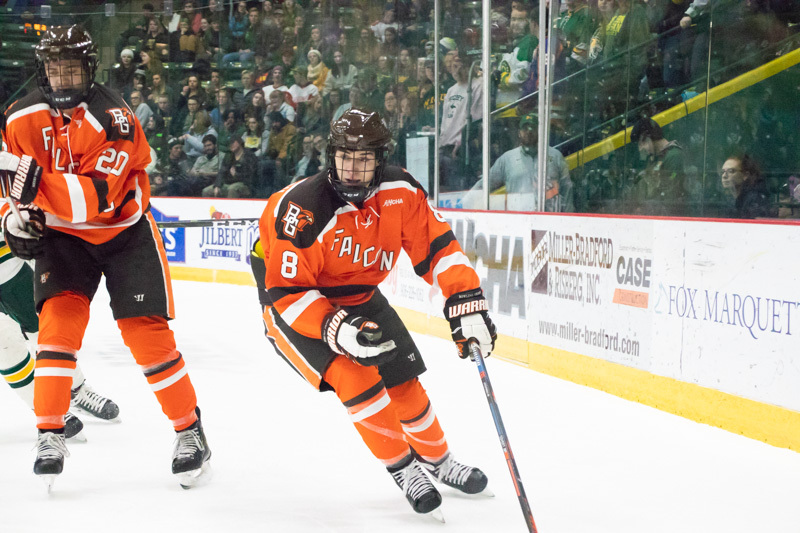 With the win, the Falcons improve to 18-7-3, 13-6-2-2. 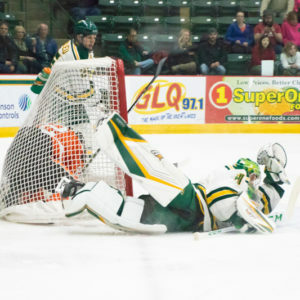 The Wildcats fall to 13-13-0, 12-7-0-0. 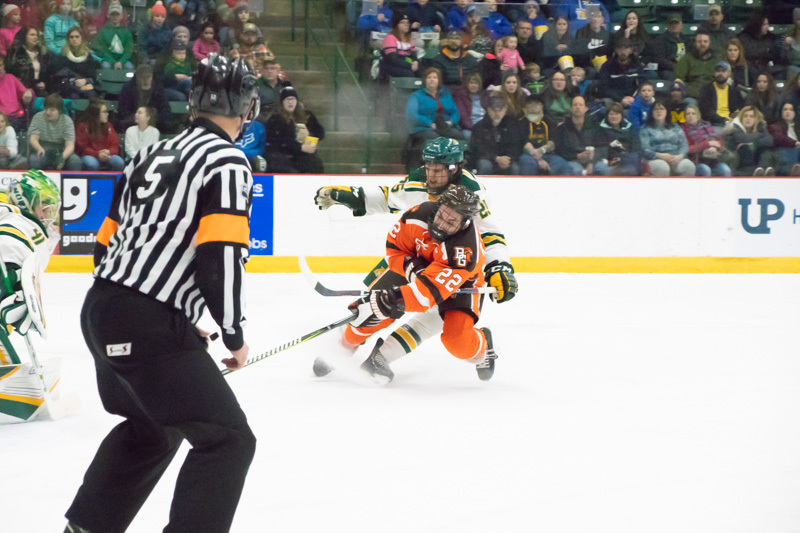 The teams will conclude their weekend series Saturday at 7:07 PM.